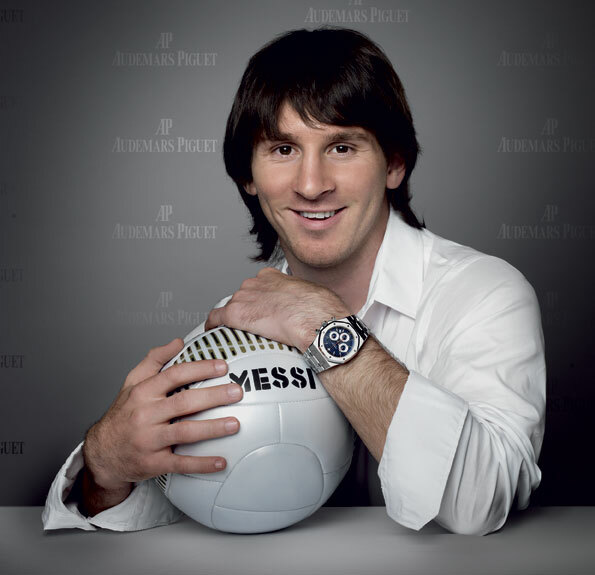 Lionel Messi becomes the first footballer to associate his name with a prestigious Swiss watch brand, namely Audemars Piguet. In its undisputed leadership role within the field of Haute Horlogerie, Audemars Piguet naturally surrounds itself with strong and powerful personalities embodying excellence and daring in their own field – be it sport, art, or technology. These partnerships owe nothing to chance; they serve to reaffirm the authentic values conveyed by the Manufacture and centred on the passion for exceptional watches and the expertise they enshrine. “Lionel Messi is an exceptional man, the greatest player of his generation. This young and talented athlete not only embodies pure sporting genius, but also the courage and the determination of a man who fights against all odds to pursue his dreams. Above and beyond his intrinsic value, we are welcoming a big-hearted man with valuable human qualities into the Audemars Piguet family”, said Philippe Merk. This entry was posted on May 17, 2010 at 11:58 am and is filed under Men's Watch, Swiss Luxury Watch, Watch Ambassador. You can subscribe via RSS 2.0 feed to this post's comments.